Accent brush: designed for precision detailing, spotlighting, highlighting, and smudging. Pixel-point eyeliner brush: tapered cut is ideal for dense or fine eyeliner application. Ultra-plush, synthetic taklon bristles are hand-cut and 100% cruelty-free. 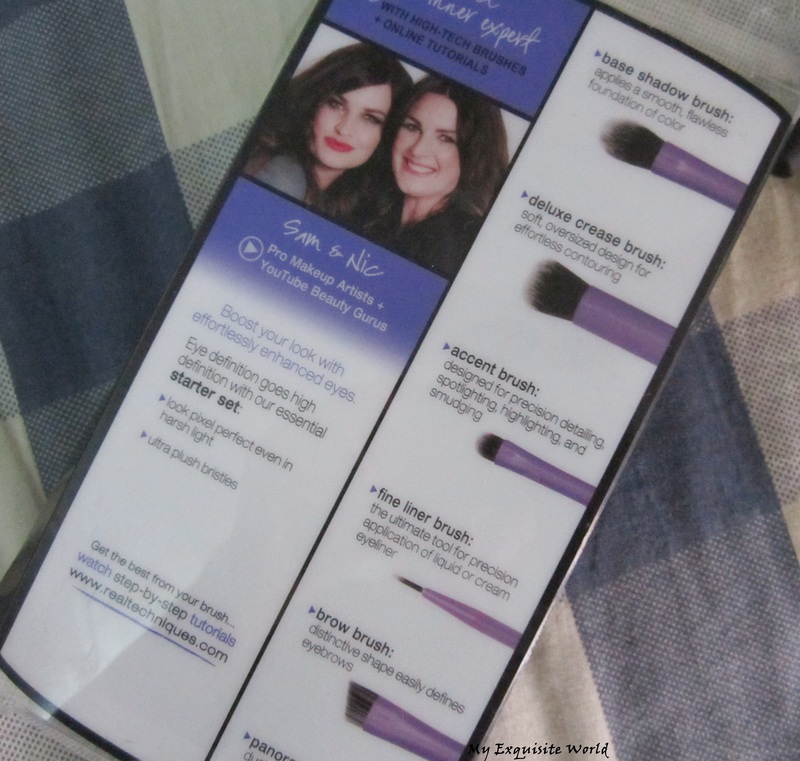 PACKAGING:The packaging is lovely and gives a feel for professional brushes.The case is really good and handy.The brushes are kept securely in the case.It looks really classy and I love the metallic purple and black body of the brushes. 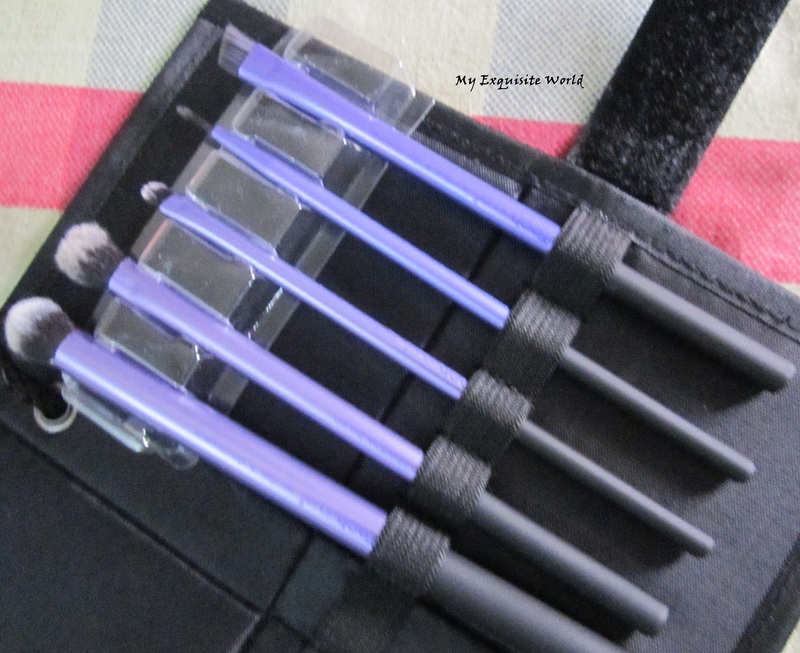 MY VIEWS:I really wanted to try some nice eye makeup brushes and after asking so many friends,I zeroed on this set as this is one of the most raved kit.The brushes are amazing.The bristles are super soft and blending is a dream.The brush handle is sturdy and easy to work with. Base shadow brush is great for applying and blending primers,paint pot as it creates a nice base for the shadows.Also,it helps in softening and blending edges. The deluxe crease brush is amazing.It is great for eye makeup-to work in the crease and blending as well as it makes as an amazing concealer brush. 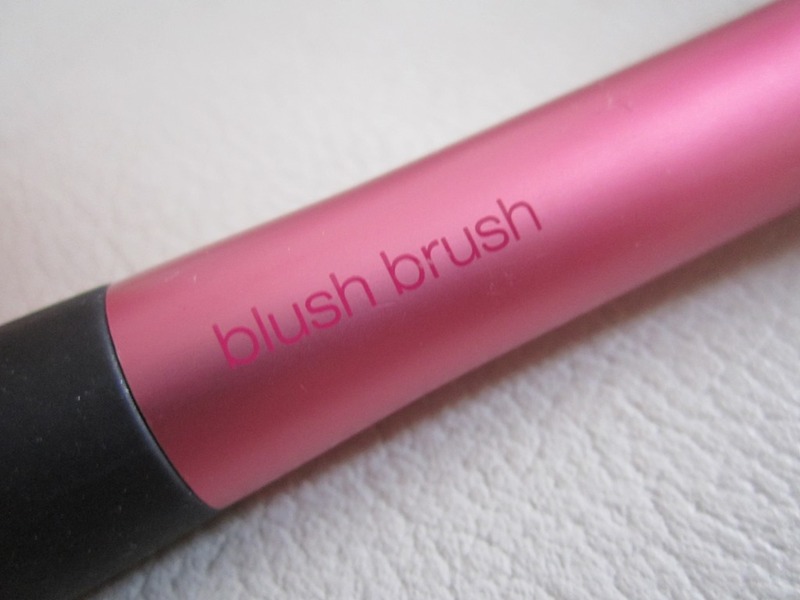 The accent brush does a great job at highlighting the inner corners of the eyes perfectly without messing up the look. Pixel Point eye liner brush: This brush is too thick for eye liner application but I use it for smudging the shadows in the lower lash. 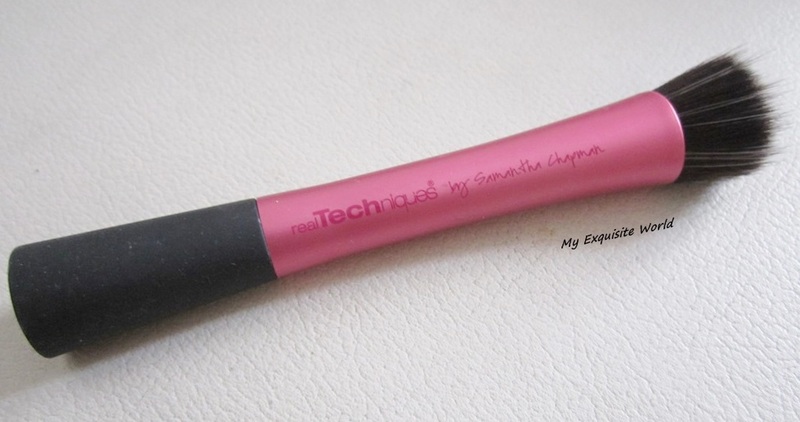 Brow Brush is great at filling the brows and adding definition to them. 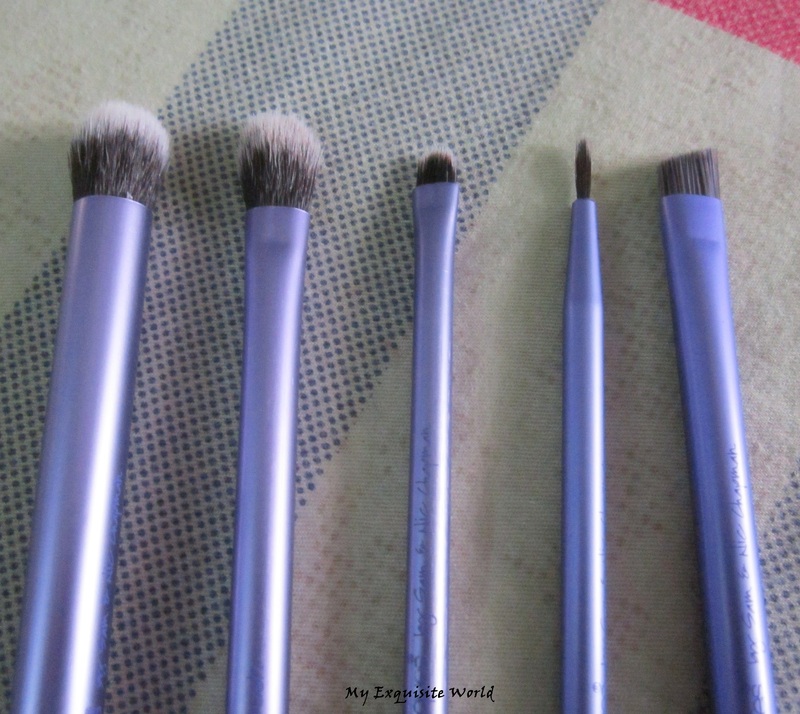 Overall,all the brushes are super handy and very useful.They can be used for more than one purpose and I really love working with them.The quality of the bristles is great,they are soft and don’t shed which being used.Also,they are very easy to clean. 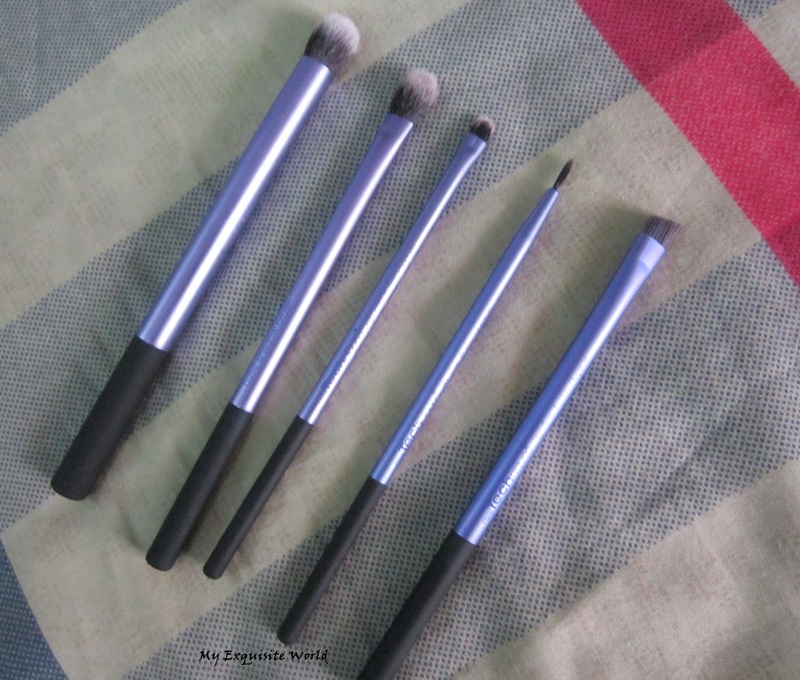 RECOMMENDATION:I am enjoying these amazing brushes.The quality is good and they perform quite well.Also,these are quite inexpensive when compared to MAC,Sigma brushes. 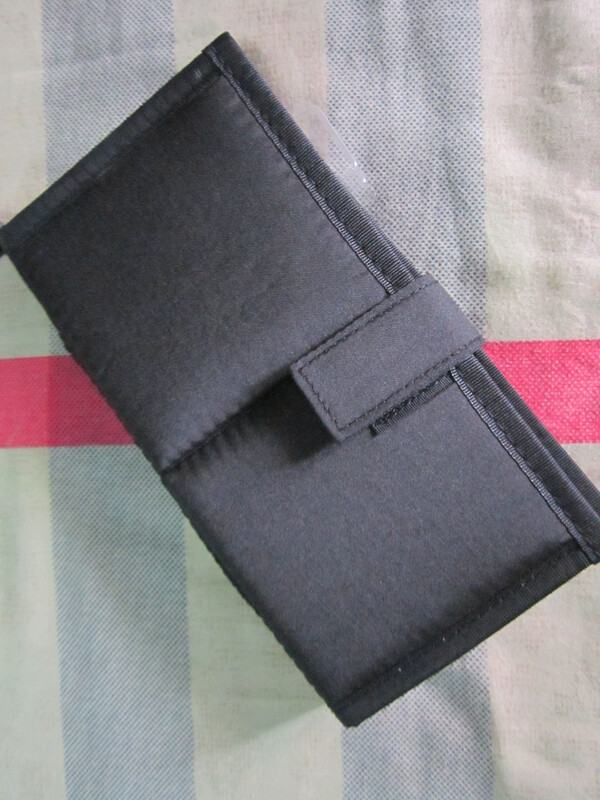 Made from polyurethane foam which is latex free. 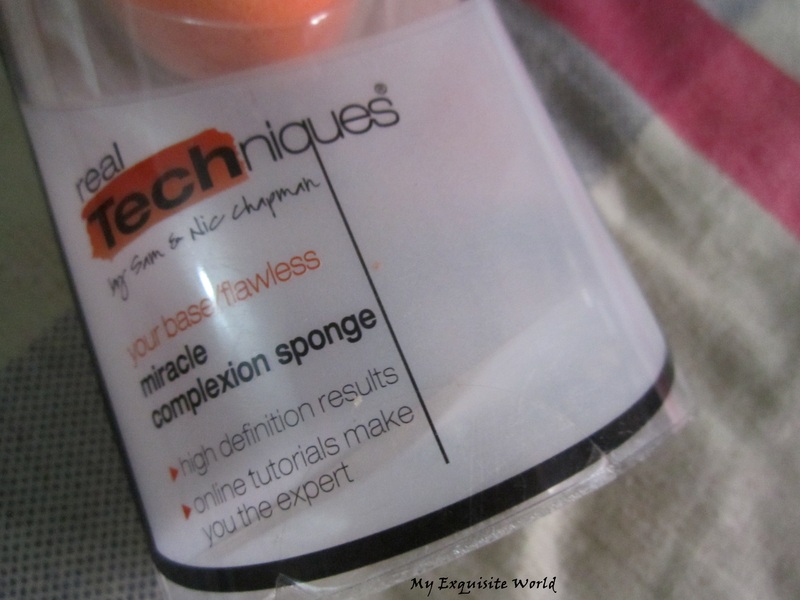 For best results, replace the miracle complexion sponge every 1-3 months. 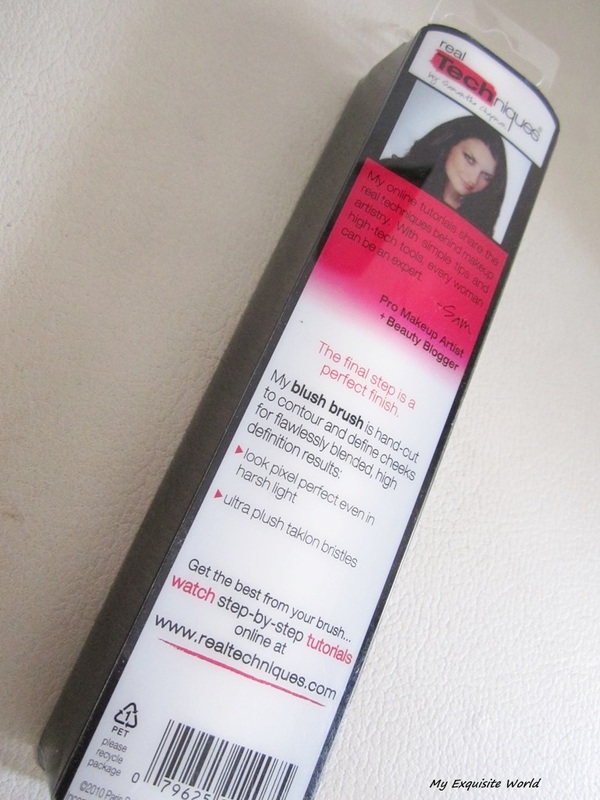 PACKAGING:It comes packaged in a hard plastic transparent box, just like the other RT brushes. 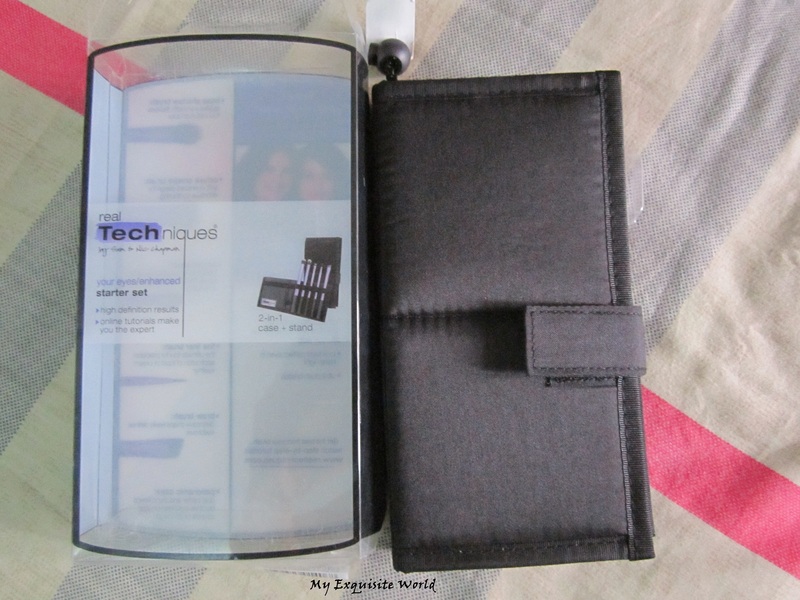 It has a small plastic holder on which the sponge rests.The packaging is nothing fancy but it looks clean and easy to be kept. 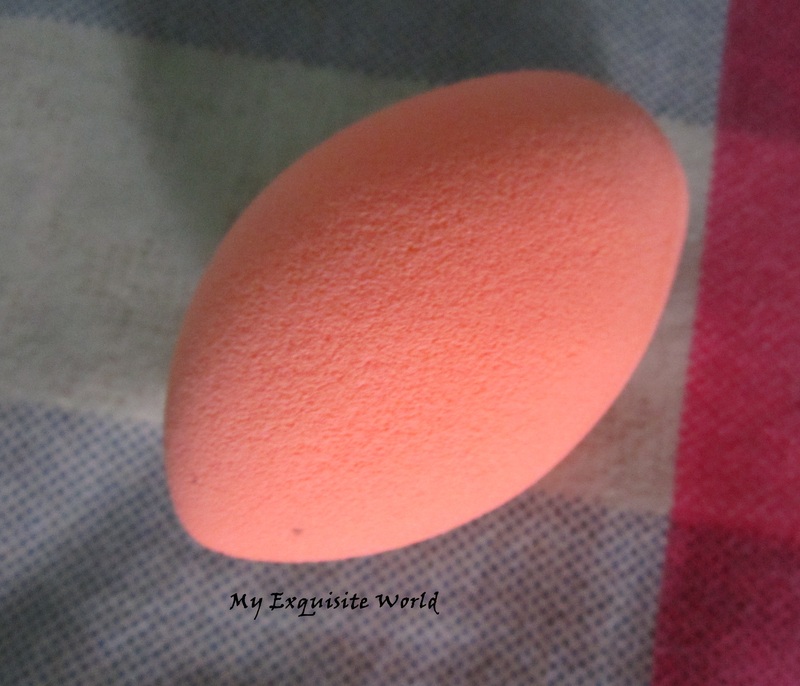 MY VIEWS:So first thing that came to my mind when I saw this was the inexpensive dupe of the ‘Beauty Blender’!! 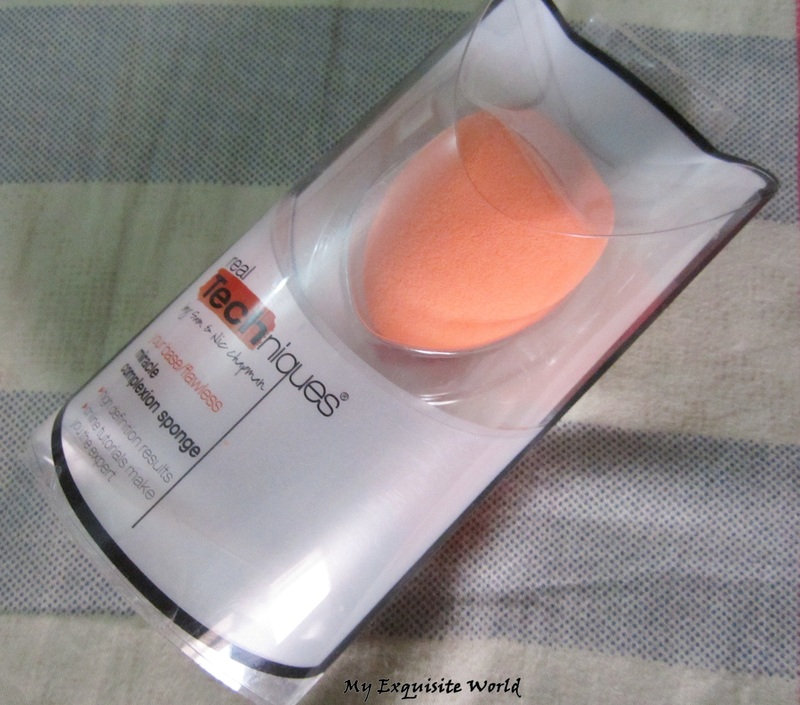 !Beauty Blender costs 20$ and this is the 6$ version of the same.I haven’t used Beauty Blender so I cannot comment on its quality and performance.However,may bloggers who have used both consider RT sponge to be a dupe for the Beauty Blender. 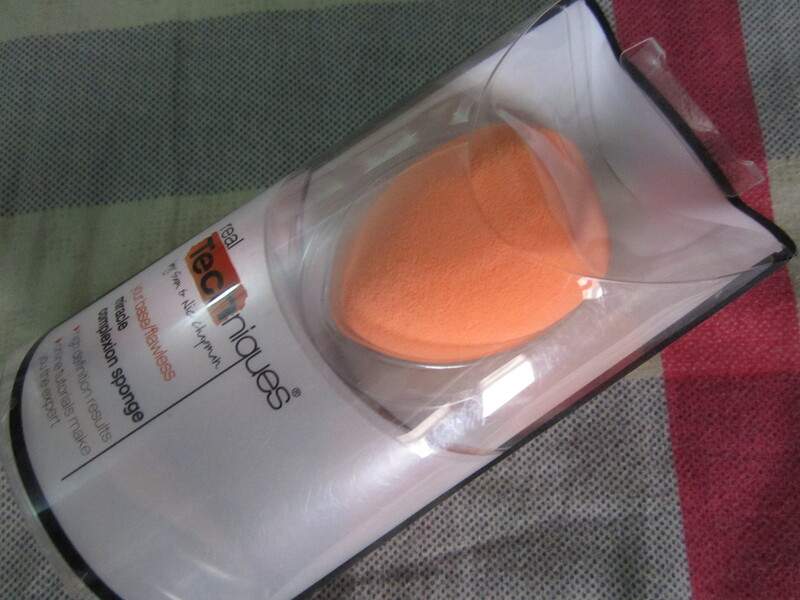 However,the shape isn’t exactly similar to the Beauty Blender as the RT one has a flat surface so smoothen the foundation application. – The flat edge for contours around the eyes and nose. I feel that the concealer applies beautifully with the pointed edge and it looks flawless and streak-free.The sponge is very, very soft. 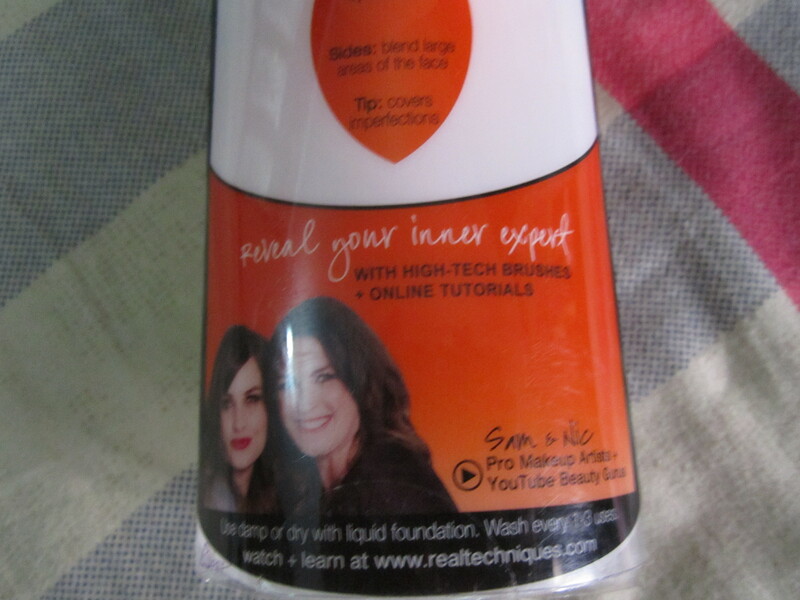 It feels really good on my face when I apply my foundation and you can get a flawless look, without having any brush strokes. 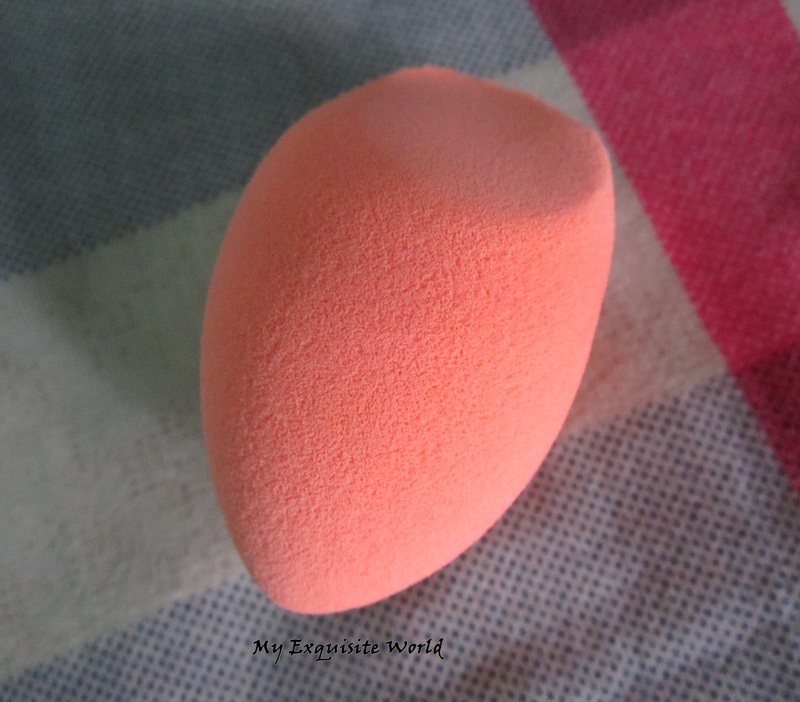 My foundation is perfectly blended and my face looks more fresh.I am loving using this sponge these days. RECOMMENDATION:I highly highly recommend trying this out.If you like using sponges than brushes then you must give this a try.It provides amazing results and you will definitely see a difference in the foundation application. 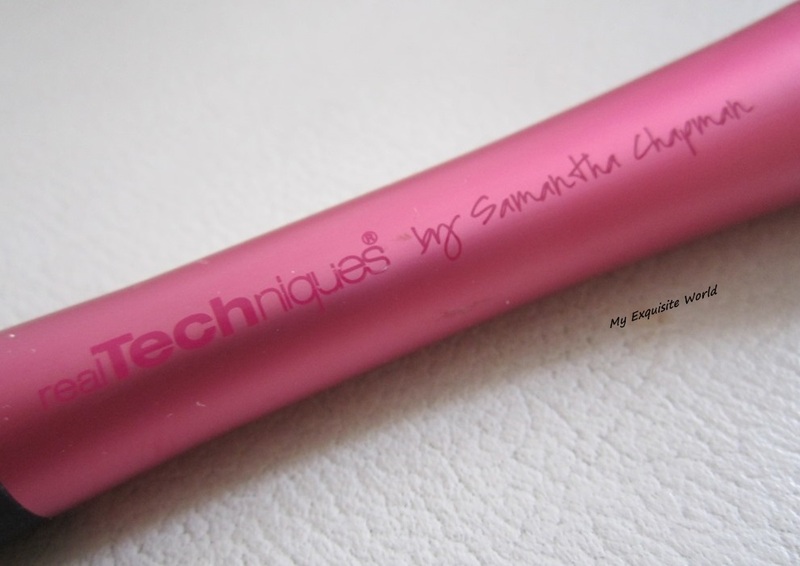 PACKAGING:The handle of the face brushes is flat on the bottom, so it can be stored standing upright.The body is gorgeous matte black with metallic pink in between.It is classy,sturdy and very travel friendly.I love the Samantha Chapman signature over the brush. 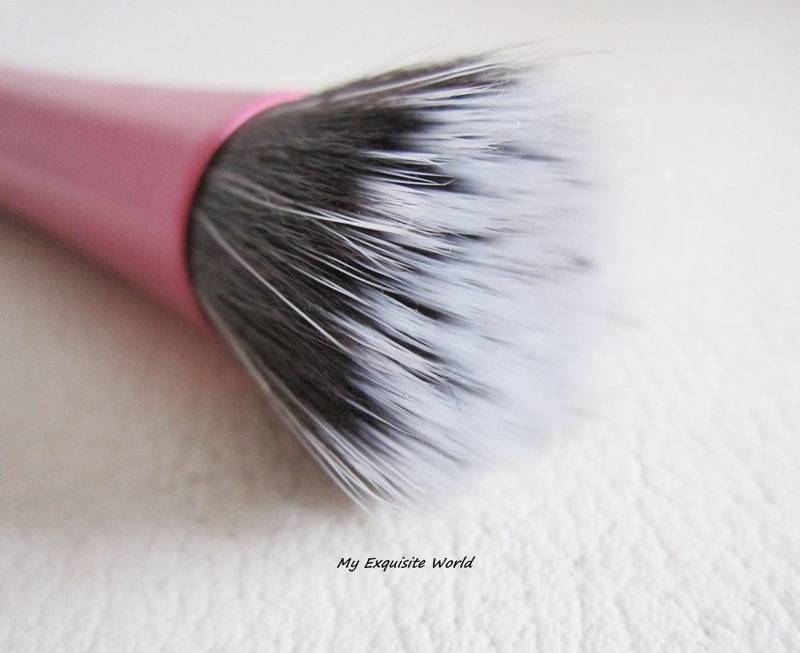 MY VIEWS:The second favorite bush from Real Techniques is this stippling brush which makes the base look flawless! 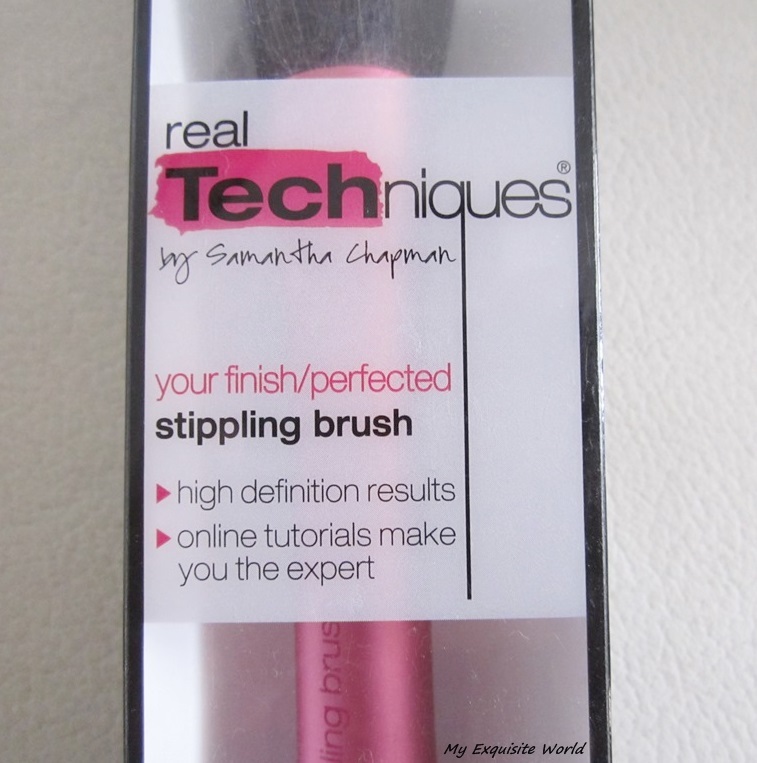 !The blending gets superb with this and the bristles are soft,dense and hey have volume which enables firm stippling providing professional base finish. 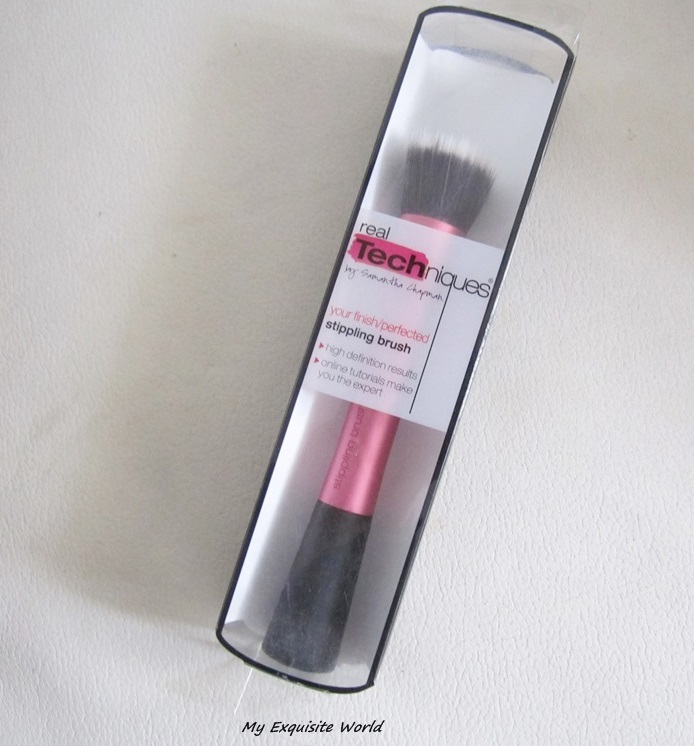 Real Techniques Stippling Brush is ideal for applying liquid and cream products, including blush, bronzer and foundation. It’s just as dense as the MAC 130 and denser than the MAC 187. 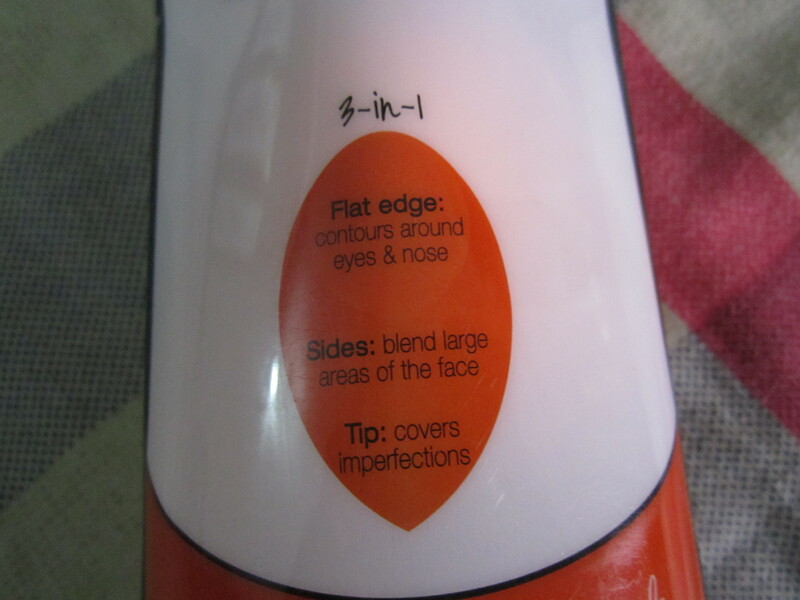 The size is perfect for buffing in foundation because it covers a good portion of the face at a time. 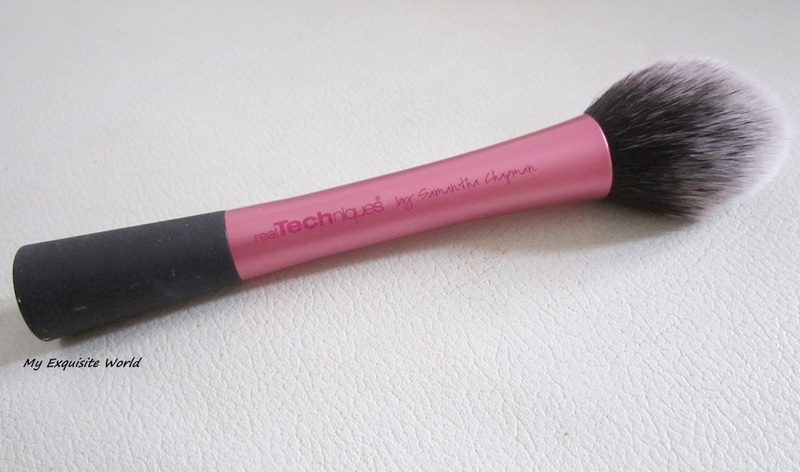 RECOMMENDATION:I love this brush as it is handy ,the bristles are soft and good on skin .It is great for sensitive skin and can be used or applying liquid,cream foundation as well as blush.I highly recommend this brush to everyone but it isn’t easily available and the shipping and custom accumulate to a large amount. 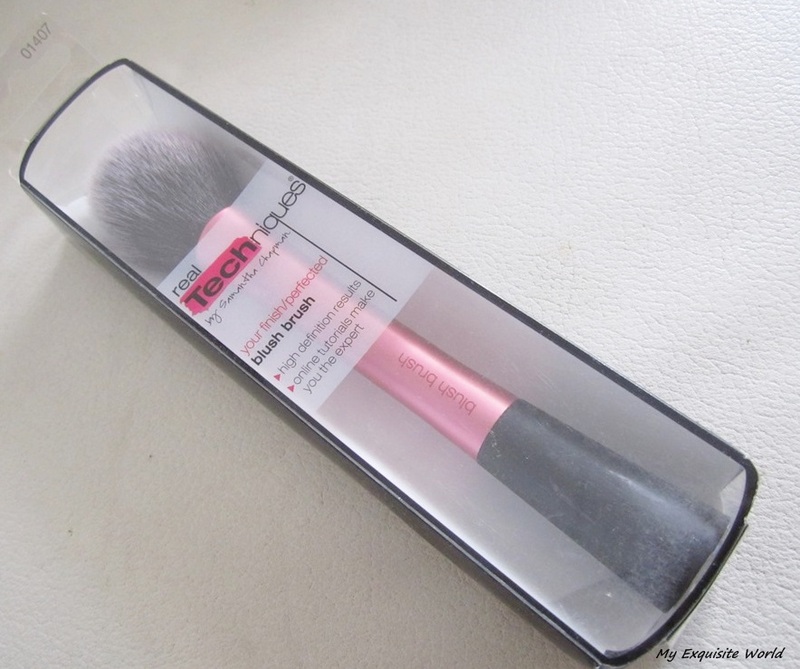 MY VIEWS:I wanted to get hands over this product.I had heard so much rave reviews and finally I own it.The packaging is wonderful and the shape of the brush is convenient for usage as a blush brush as well as powder bush.The matte pink and black shade of the brush is so classy and girly.It is light weight,sturdy,travel friendly and easy to hold and use. 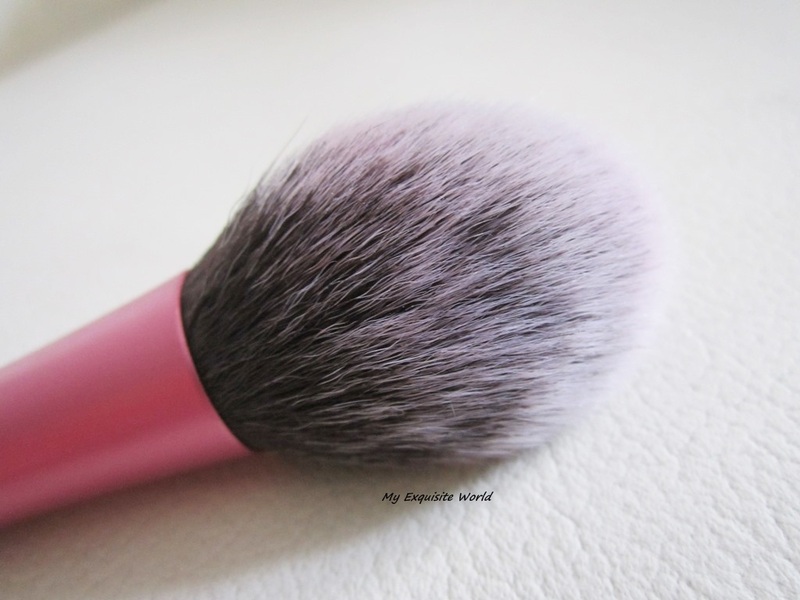 The first thing that you notice int he blush brush is the pink handle followed by the fluff brush bristles.It is large,dense and so soft to use,I feel like swiping it over again and again.The blush picks up good amount of colour so you have to be careful while applying blush with this brush.It has a pointed tip which I can use for contouring but with very careful hand.Also,the brush is great for using as a powder brush as it picks up enough amount and it is easy to blend with this brush. 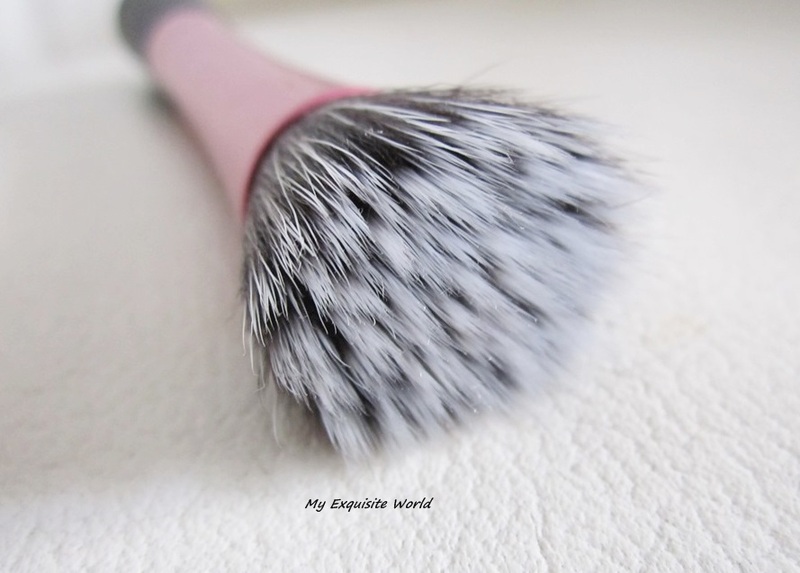 The brush gives a flawless finish to the face and blends the product so well without leaving any streaky lines.The bristles are super smooth and not at all harsh.It is a good bet for those who have a sensitive skin. 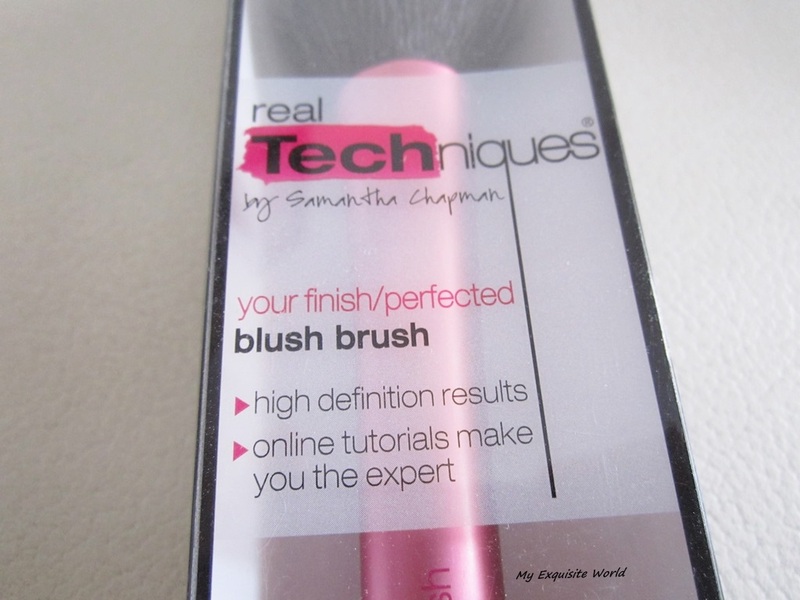 RE COMMENDATION: I love this brush as it can be used for other purposes as well.The packaging is classy,the brush bristles don’t shed out,it is smooth and gives a flawless finish which makes this brush a must have! !